I just got back, late Saturday, from a great trip visiting friends in Lancaster County and elsewhere. I’ve got a lot to share in upcoming posts. But for now, a little summary. 7-number of settlements visited. In addition to the ones I mentioned in this post, I also dropped by Juniata County in central Pennsylvania. To visit all of these in a week, as you can imagine, takes a lot of running around, which is probably one reason I dropped unconscious on the couch for a long nap yesterday. Most of my time was spent in Lancaster County, however. More on these communities to come. 4-number of Amish markets visited. Amish markets continue their relentless assault on the greater Philadelphia area. Two that I visited were opened just in the past year or so. With one exception, most seem to be doing quite well. I’ll also have more on these in an upcoming post. 500-number of tomato plants I spoon-transplanted while at Abe’s (give or take a couple dozen). Winter is the time for getting spring plants up and growing. Abe, myself, and three of his workers (unmarried ladies, or “maids”, as Abe calls them) spent the better part of Tuesday in his greenhouse enabling this next stage of the tomato life cycle. Abe said that the tiny seedlings would soon begin to shoot up, now that their roots have ample room to stretch out in the spacious pots we plopped them in. If you’ve read my Amish business book you’ll know that Abe supports his family by growing a wide variety of organic plants, chief of which are tomatoes. These have names like German Pink, Limmony, and Cherokee Chocolate (alas, that last one still tastes mostly like a tomato. I’ve checked. Not sure how lemoney the Limmony is, though). 32 dozen-number of past-date eggs Abe and I picked up from the co-op he grows for. These still-good eggs, just a few days past expiration, would otherwise go to waste; Abe and his extended family will put them to good use. 4-number of games of Settlers of Catan played with Amish friends. Settlers of Catan is a very popular board game among Amish, or at least among Lancaster Amish. One Amish friend calls liking Settlers a “litmus test” for being Amish. Ironically, he himself doesn’t like Settlers or any other board games for that matter (he calls them “bored” games). Having played Settlers awhile, I can tell you it is a pretty addictive game. So maybe my bored Amish friend needs to give it another chance! 5-number of buggy styles in communities I visited. I almost got the “full Amish rainbow”–seeing black, white, yellow and grey-topped carriages. The only color missing was this one. 2 and 3/4-number of bonus pounds brought home thanks to delicious meals at every home I visited and a lot of time spent in the car. As one of my Amish friends remarked, Amish farm diets just aren’t suited for city folk (at least not, methinks, for the long-term). The best dish? Either the corn pudding, pork belly casserole, or the waffle-bacon-sausage gravy-syrup-egg-and-blueberry sandwich we came up with at the breakfast table one morning. Not sure you’ll find that one in any cookbook. Only 2-3/4, eh? Apparently you have more self-control than do I.
I thoroughly enjoy reading about your adventures. You have a nice way of relaying the realities of life among the Amish with gentle humor an an honesty that is never harsh. Wednesday I head back to northern Indiana and will spend ten grueling days visiting Amish kitchens, barns and workshops with my trusty camera and notepad. I’m running around all over in towns such as Nappanee, Bremen, Middlebury, Honeyville, Emma, Shipshewana, and Millersburg. I’m especially excited to revisit the tiny town of Emma; the friendly Amish staff at the Emma General Store serve an amazingly good lunch! Oh wait, I’m exercising self-control this trip. Hmmm, never mind. Enjoyed reading about your Amish adventures. Glad you are home safe and sound. I loved reading this. I’ve just finished planning a trip to the Shipshewana area in June for their local Quilt Show and flower gardens. I can’t wait to go. I’ll visit my cousin, we’ll work on quilting and visit all the fabulous quilt fabric shops in the area. I love Yoder’s and Lolly’s especially. We plan to take pictures of all the beautiful gardens as well. I love the cheese factory there as well as the Dutch Country Market. Their jams and preserves are fabulous. Shipshewana was the inspiration for beginning to quilt after I retired from teaching. Wish it was possible to visit a school sometime too. I think it would be very interesting seeing their educatdional system from a former teacher’s perspective. Keep writing all the wonderful columns you share with us all. Welcome back Erik!! Sounds like you had quite the trip. Sure did miss you!! Can’t wait for further posts and pictures!! I, too, am looking forward to your future postings regarding your trip! (It’s almost suppertime here, and now I have a hankering for corn pudding! Thanks a lot! I had to up my Diabetes meds last week…I’m drooling!) 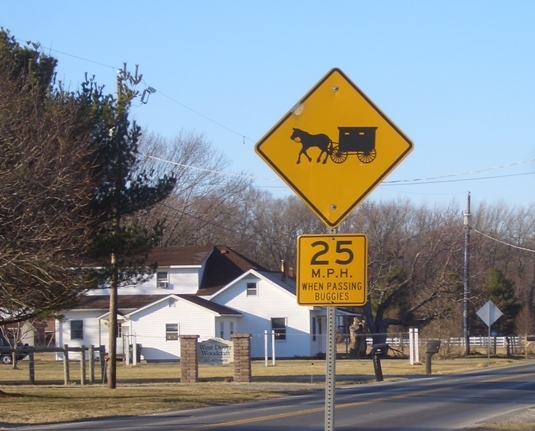 How DO those Amish with Diabetes survive all the home cooking? Keith sounds like you have a great trip planned. Emma and Honeyville are great little towns. If I’m right the Honeyville General store I believe was closed when I lived in Indiana in 06. But a great location. Would love to get back to Indiana. Karen I’m sure you’ll have a great trip to Ship. I think you could visit a school if you had a connection; do you know someone in the community? As someone involved in teaching I think they would enjoy having you, and the children typically love visitors. LOL…Erik, you are too funny….I have several questions I’d like to ask you…but I’ll give you a few days to rest……and the breakfast sandwich you had……I think I will pass on that one…….that’s way too much stuff at one time LOL….Sounds like you had a great time while you were gone…..I’m sure you’ll have some great postings for us and you can answer all of our questions eh????? Erik….Sounds like you had a great time, but 2 3/4 pounds sound very low….you obviously must of worked off a few pounds that you are not counting. Glad to have you back safely. I love reading your blog, thanks. Semething I’ve always wondered about Amish buggies, in the photos they all look the same size. (I live in Australia, so I’ve never seen one in real life). Is there room enough inside to hold all the children in one Amish family, or would a large family have multiple buggies? Mona, Kristin, Bob, I do appreciate it. I keep saying it was an action-packed visit. I usually need a couple days to recover after these! Josie, great to hear from you in Australia. There is some variation in size and you will even see some that are really just two-seaters, with a pickup-like “bed” in the back. But most would have a bench and room in the back. When the kids are small you are probably going to try to cram them into one, but at a certain point you do have to start taking two buggies. I’ve experienced this on a few occasions when going to church with Amish friends with sizeable families. Thanks Erik – I look forward to hearing more about your latest trip! Josie.